I promised last week that I’d post about my “perfect” chocolate chip cookie. 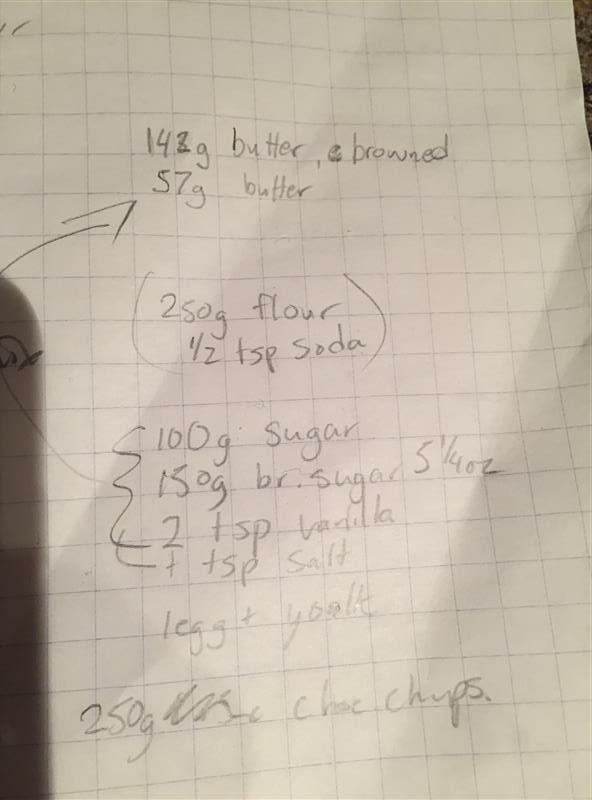 I’ve tweaked it a bit since the last time I made it, and I suspect it may continue to get adjusted as life goes on, but I’m pretty happy with the basic recipe, so here it is. This is the second time I’ve made chocolate chip cookies from this book. The first was shortly after the book came out, because I just had to try them. I’ve long been on a quest for my own perfect chocolate chip cookie, and I think I’ve found it, and although this one is close, it isn’t quite it, for me. 😉 This time, while baking alongside the Rose’s Alpha Bakers group, I decided to try the Melt-in-the-Mouth variation, which includes grated chocolate. My husband gave me one of the most frivolous but wonderful things for my birthday this year. It was back in June, but I have gotten somewhat out of the habit of blogging, so I didn’t think to post about it when I first received it. Recently, Joe Pastry started a series of posts on flour, discussing extraction rates, grades, and protein contents, and it got me thinking that I really should start experimenting more with my new toy. What is it?